Apple is a healthy fruit, and with honey, it makes an awesome combination. But, have you tried grilled apples? 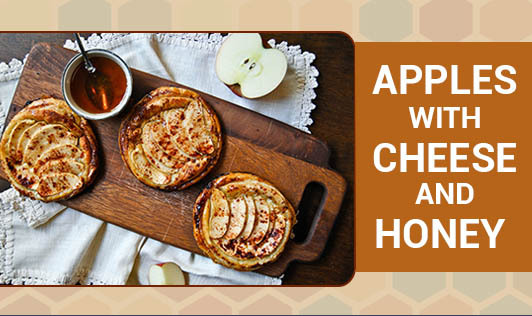 Here, we bring you the recipe of apple and honey with cheese. 1. Preheat grill pan to medium heat. 2. Toss apple slices with oil and sugar in a large bowl. Grill the apple slices until just tender and lightly marked, turning once, about 6 minutes total. 3. Shave cheese into thin strips with a vegetable peeler. Top the apple slices with a slice of cheese, sprinkle of nuts. 4. Serve with a drizzle of honey. You may share with us your favorite grilled recipe and we will give it a makeover. Go to "tools-->recipe makeover".